Question #14:What is the relationship of “inspiration” to “inerrancy”? Answer: I like what MacArthur writes about the relationship of inspiration to inerrancy: “If God is our ultimate authority and His character is flawless, and if He inspired the writers of Scripture to put down His thoughts while still allowing them freedom of personal expression, then the Bible is flawless and it becomes our ultimate authority–our only rule for faith and practice.” [Why Believe the Bible, (Glendale, CA: Regal Books, 1980), 9.] Ryrie explains that “Admittedly, the data of Scripture often includes approximations, free quotations, language of appearances, different accounts of the same occurrence…. 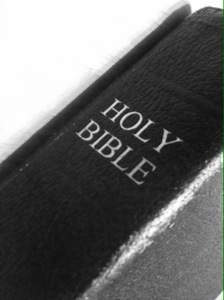 the inerrancy of the Bible means simply that the Bible tells the truth” (Basic Theology, 82).